Homegrown cab aggregator Ola has raised $1.1 billion (Rs 7,174 crore) from investors led by China’s Tencent Holdings Ltd and is in advanced talks to raise another $1 billion, the company said on Wednesday, as it beefs up its war chest to take on main rival Uber. 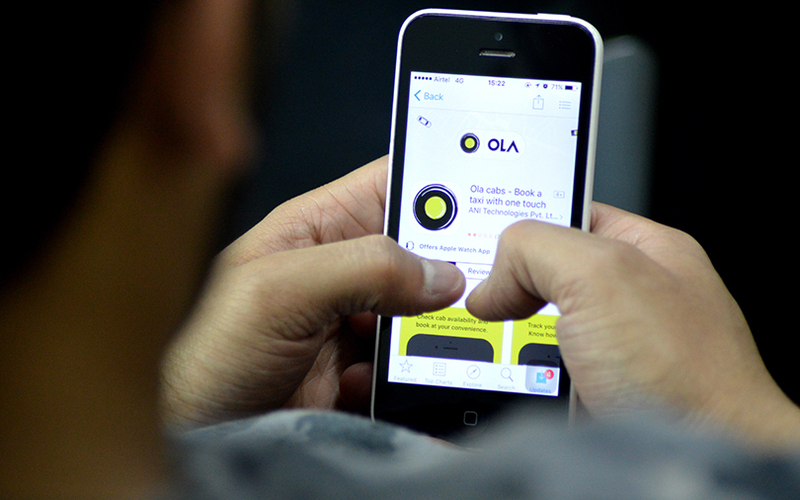 Existing Japanese backer SoftBank Group Corp and a few new US-based financial investors also participated in this round, Ola said in a statement. It didn’t name the new investors. The fresh funding marks the third billion-dollar round in an Indian consumer Internet unicorn this year; online retailer Flipkart had previously raised $3.8 billion and e-commerce and digital payments firm Paytm had mopped up $1.4 billion this year. The developments, however, come at a time when venture capital investments in early-stage startups plunged to the lowest in two years. The capital infusion will give additional ammunition to Ola to fight with US-based Uber Technologies Inc. The two companies are locked in a fierce battle and have burnt a massive amount of capital in recent years to gain an upper hand in India’s growing ride-hailing market. Ola, operated by ANI Technologies Pvt. Ltd, said it will use the fresh capital to increase supply and enhance its technological capabilities. “The company will make significant technology investments into artificial intelligence and machine learning capabilities to solve India’s unique mobility problems,” it said. The ridesharing firm, set up in 2011 by IIT Bombay alumni Bhavish Aggarwal and Ankit Bhati, didn’t specify the amount Tencent, SoftBank or other investors have pumped in individually. However, citing regulatory filings VCCircle reported last week that Tencent had invested $400 million in Ola. Since November 2016, the company has also raised $250 million from SoftBank, $104.4 million from Falcon Edge Capital and UC-RNT, and $36 million from Tekne Capital Management. The company had not made any public announcement about these funding activities, and it is likely that these are part of the $1.1 billion round disclosed now. Ola didn’t respond to email queries seeking comment till the time of filing this article. The company had last announced a funding round in November 2015, when it had raised $500 million in a Series F transaction. Japanese telecom and Internet conglomerate SoftBank has significantly ramped up its India bets this year. It has invested about $2.4 billion in Flipkart, $1.4 billion in Paytm and led a $250-million round in budget hotels aggregator Oyo Rooms. Ola’s latest fundraise comes at a time when SoftBank plans to take part in a $10-billion funding round in Uber. Tencent, too, has increased its India investments over the past year. It has injected $700 million into Flipkart and has also backed ed-tech startup Byju’s, health-tech venture Practo and messaging app Hike. “Ola’s unique local offerings are tailored to India’s burgeoning transportation needs,” said Martin Lau, president, Tencent. "The strategic partnership with Ola makes it possible for Tencent to be part of the fast-growing ride-hailing space in the country."